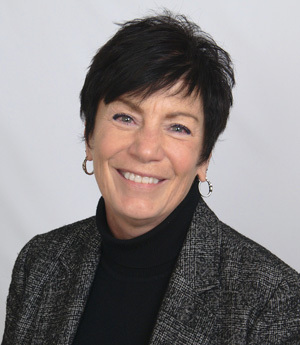 NDCL’s 14th Annual Career Week will begin Tuesday, February 19, with a keynote address by Mrs. Terri Cain, President and CEO of Lake Business Products, a premier provider of document technology services and solutions. Mrs. Cain began her career with Lake Business Products when she was a teenager. From its Eastlake headquarters, she now leads a company that has expanded to include offices in Cleveland, Akron, Toledo, and Youngstown. Mrs. Cain serves on the board of the Lake County YMCA and is extremely active at St. Bede the Venerable Church in Mentor. She is the mother of two NDCL graduates: Shireen '13 and Alex '15. Throughout Career Week, sophomores and juniors will have the opportunity to participate in presentations and discussions with alumni, current and former NDCL parents, and community leaders representing seven distinct career clusters: Arts and Communication; Business; Computer Science and Information Technology; Education and Social Services; Healthcare; Legal, Government and Protective Services; and Science and Engineering. Students may register online for up to three clusters by clicking here. We will text registration information to students next week. The registration deadline is February 10 at 11:59 PM. Questions about Career Week? Email Director of Alumni Relations Ms. Liz Maier '06.